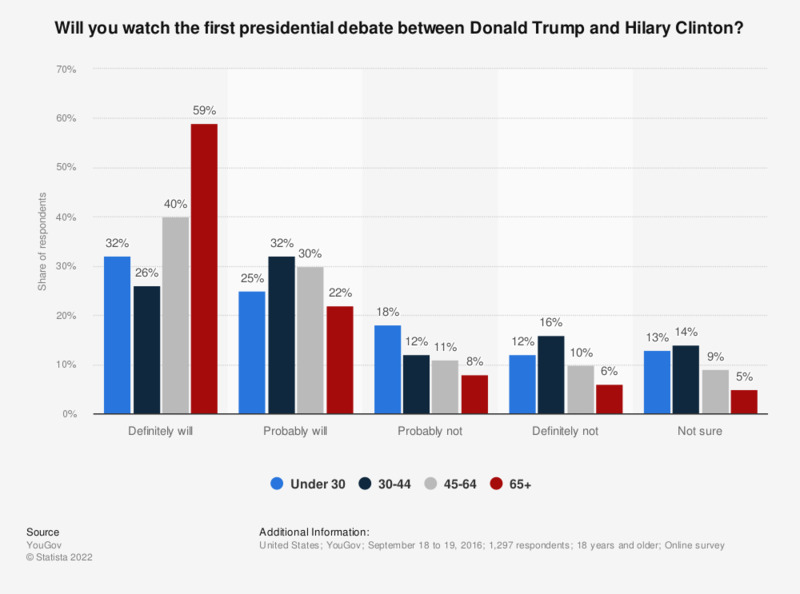 The statistic shows data on the interest in watching the first Clinton versus Trump debate among U.S. consumers as expressed before the debate took place. During the survey, 25 percent of respondents in the under 30 age group stated that they would probably watch the debate. This question was phrased by the source as follows: "The first presidential debate between Donald Trump and Hillary Clinton will take place on Monday, September 26. Do you think you will watch it?"